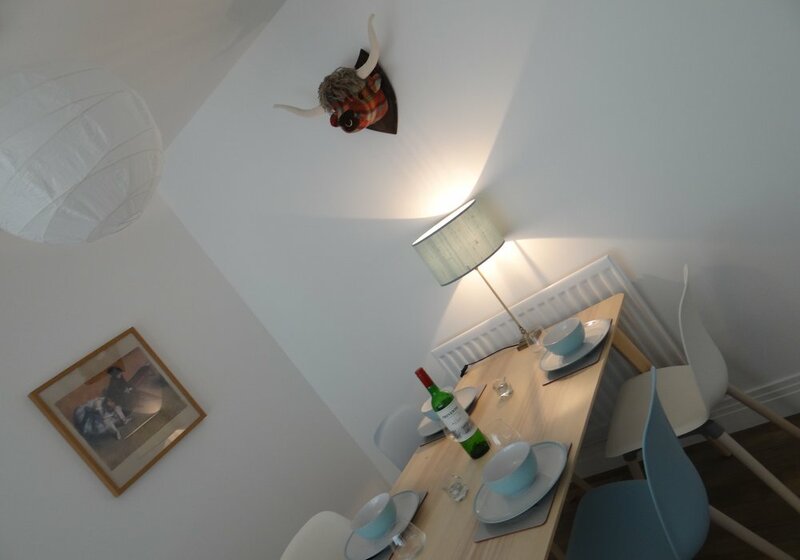 Completed in December 2017 everything about this property is brand new... it is the perfect base for visiting Edinburgh.. 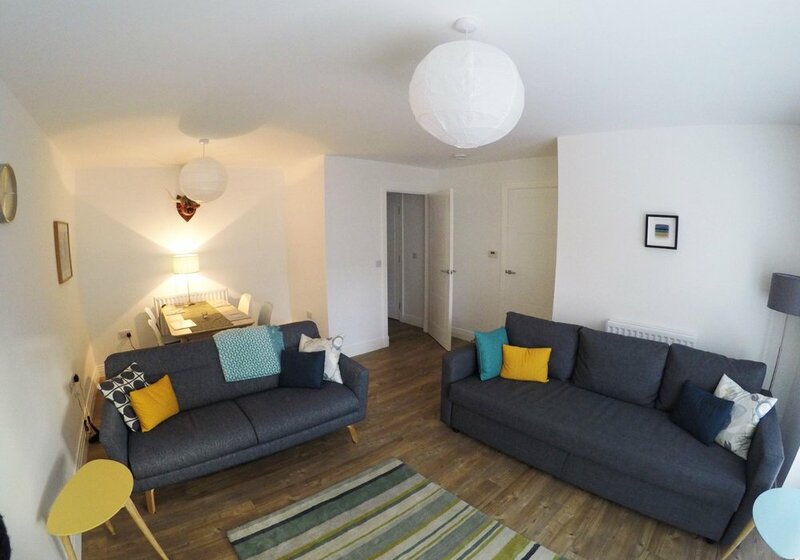 There are 2 double bedrooms, 2 bathrooms, a spacious lounge, a private secure balcony accessed from the lounge and a private parking space to the rear. It is decorated with modern contemporary furnishings. 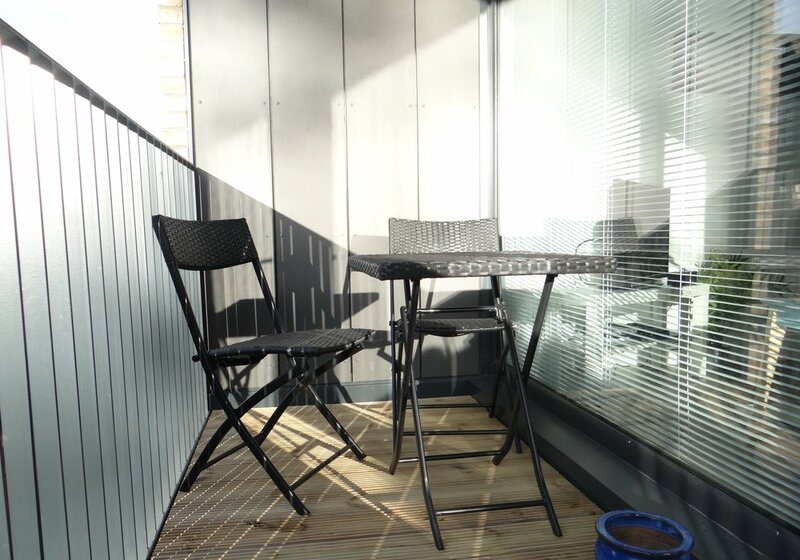 It is bright and fresh and perfect for a family, couples or professionals working in the city. Although close to the city centre it is a very quiet location and has a relaxing feel. 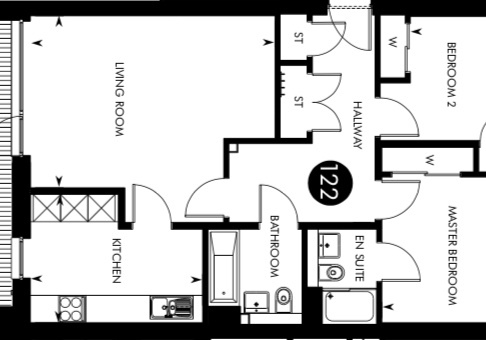 There are 2 double bedrooms. The master has an ensuite. 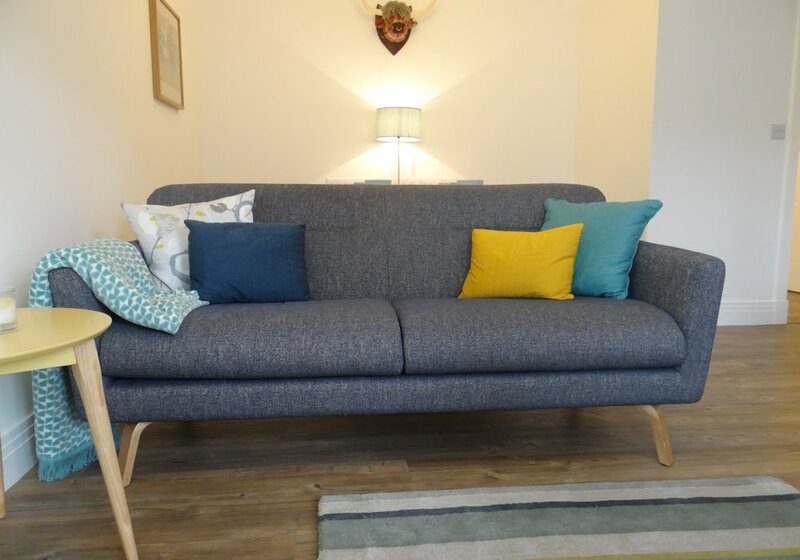 There is also an additional double sofa-bed in the lounge. This property is main door. The lounge leads to 2 double bedrooms, master bathroom, kitchen, spacious lounge with dining area and double doors out onto the south facing decked balcony. The apartment is a short walk from the iconic Playhouse Theatre and family-friendly Omni Centre, with its multi-screen cinema. Brunswick is peppered with stylish cafés and brassieres, whilst lively Leith Walk offers an eclectic mix of bars and restaurants. Princes Street, George Street and Multrees Walk are 10-15 minutes walk and the Ocean Terminal Shopping Centre and Yacht Britannia are 1.5 miles away. Those stretching their legs have easy access to Arthur’s Seat, Holyrood Park and Carlton Hill, whilst a gym, swimming pool and fitness classes are available at Nuffield Health Fitness & Wellbeing Gym (day rates available), located inside the Omni Centre. 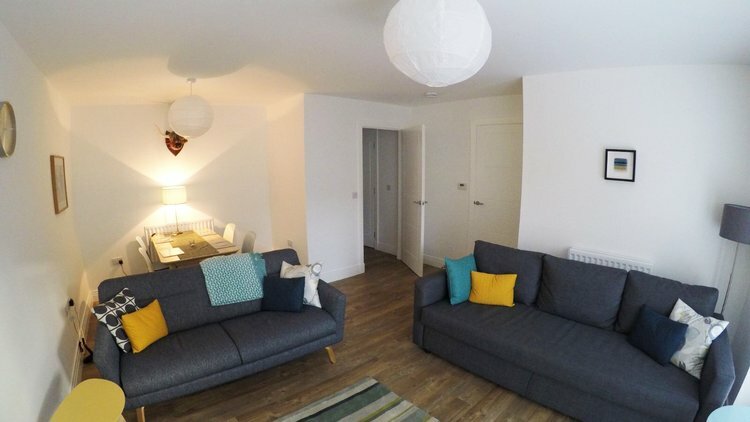 Brunswick is well-connected, with regular bus links to other parts of the city and the tram terminus, connecting to the airport, is situated half a mile away at York Place. UK-wide connections are available at Waverley Station (15 minutes walk) and for those travelling by car, the city bypass is within easy reach. The location is just east of the Newtown. There is lift access to the rear carpark and the front entrance is street level. All doorways are wide enough for a walking frame or wheel chair. The property is located just a 15 minute walk from Princes Street. Turn right onto Brunswick Road and walk 1 minute. This property benefits from its own private parking space in a private carpark to the rear of the building. This is accessed via the internal stair or lift.. just 1 floor below the apartment. No one has reviewed Brunswick Holiday apartment yet. Booked this flat for a weekend break and was very impressed. The location is good as its close to the main station, the tram from the airport and all the great bars and restaurants. The flat is immaculate as everything is brand new. Would recommend and book again.